Let the slow cooker do the cooking! 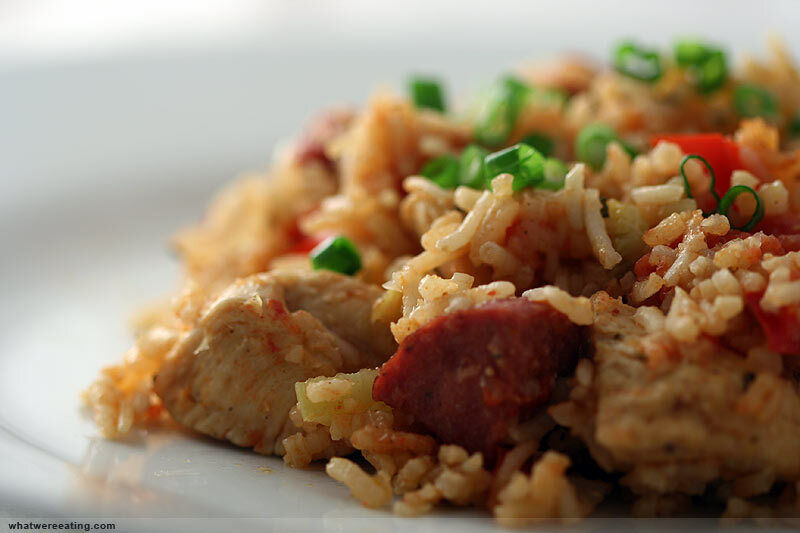 Jambalaya is a perfect recipe for the fall and winter months! It’s packed with protein and yummy goodness! Add chicken, sausage, chicken broth, Tabasco, oregano, Cajun seasoning, bay leaf, and tomatoes to the crock pot. Heat for a few hours and then add the shrimp, cover and cook for an additional 2 hours. Prepare rice before serving (according to packaging instructions). Plate the rice and pour large spoonfuls of jambalaya over the rice.